PT. 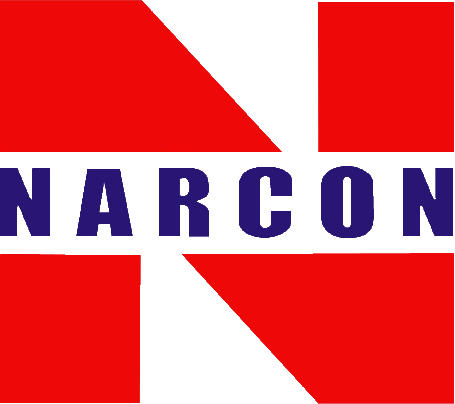 NARCON has committed to serving its clients, and partners with the best quality products and services. As the first company in South East Asia that investing the SSK (Stereo Soft-copy Kit) from Z/I Imaging in 1992, it showed that PT. NARCON will always keep up with newest mapping technology available in the market. Our goal is to become a company that can give solutions and answers to inquiries and demands that are addressed to us. We are very proud that our team consists of professionals and experts that, in average, have more than 15 years of experience in mapping industries. We are also planning to expand our business not only in the mapping area, but also in every other aspects related to it such as civil construction, environment analysis, area planning and consultation, and so forth. PT. NARCON has given a lot of positive contributions as well as changes to the existing mapping industry in Indonesia. PT. NARCON became the first survey and mapping company in Indonesia that executed The Digital Mapping Project of Java, Bali, Nusa Tenggara, and most of Maluku. In the same year, PT. NARCON was the first survey and mapping company in Southeast Asia that was using Stereo Softcopy Kit (SSK) of Z/I Imaging to produce a 3D mapping model. PT. NARCON has been working on 3D Stereo environment to generate topographical maps and to utilize remote sensing methodology from various sources as well as airborne and space borne data beside the terrestrial method. Starting 2006, PT. NARCON Photogrammetric Department has been utilizing the 3D Stereo Software that was able to create a stereo mate images. PT. NARCON utilized SOCET SET and has continuously increased the stock of existing 3D Photogrammetric Software. Currently, Summit Evolution Software were also used to strengthen this Photogrammetric Department. PT. NARCON was partnering with Intermap, one of the biggest airborne radar provider in the world to execute the Radar Mapping Project at the BAKOSURTANAL, the Indonesian Mapping Agency. Within the project, PT. NARCON has successfully mapped part of the border of Kalimantan area and also part of Sumatera using this airborne radar technology. In particular, the radar data helped to overcome imaging problems that resulted from cloud cover across the area. Using the Intermap products, it was possible to generate topographical maps at different scale (1:50.000, 1:25.000, and 1:10.000). PT. NARCON became the authorized distributer for marketing radar products for Infoterra GmbH1, one of the biggest Satellite Radar vendor. Since then, the company has delivered satellite imagery covering approximately 1.5 million square kilometer to the Indonesian Governments. This radar data was used as a base to generate the topographical area resulted in 1:50.000 and 1:25.000 Topographical Mapping and currently PT. NARCON are still processing 1:25.000 map scale to cover all of the Indonesian territories. PT. NARCON partnered with E‐GEOS and together with AIRBUS DS, conducted an Oil Spill monitoring project using satellite radar technology. A total of six radar satellites and four optical satellites were used and guaranteed three satellite images per day in combination between radar and optical, to monitor one Area of Interest (AOI) and deliver the report in near real‐time (NRT). PT. NARCON became one of the BAE SYSTEMS Authorized Distributor in Indonesia. BAE SYTEMS provides one of the world’s most advanced, technology‐led defense, aerospace and security solutions and employs a skilled workforce of approximately 83,400 people in over 40 countries. N arcon's Services become an important reference value in doing business in the field of Geospatial. A ccurate, neat, meticulous and punctualin performing their duties and responsibilities. R ealistic in setting goals or objectives inline with the vision and mission of the company. C lever, skilled and competent in the use of geospatial technology. O rganization that strong, clear and transparent to the satisfaction of customers, partners, employees, management, directors and stakeholders. N oticeable contribution and achievement in the geospatial field, and continuously improve the Quality Management System.